Damian Mooney dropped back in his pursuit of a Senior Tour card after day two of Staysure Tour Qualifying School Final Stage in Portugal while Brendan McGovern needed a strong finish to stay in with a chance of qualifying. Belfast golfer Mooney fell 16 places down the leaderboard into a tie for 28th after posting a three-over-par 74 in the second round, managing three birdies, but mistakes scuppered his scoring with four bogeys and a double on the card. The round saw Mooney drop to a four-over-par total, the same score as Headfort’s Brendan McGovern who improved with a bizarre even par rollercoaster round. The colourful McGovern looked dead and buried having played his opening 11 holes in four-over but suddenly his game caught fire, with the veteran sinking four birdies in his last 6 to retain parity for the round. The third round will begin at 9.00am local time today (Wednesday) where the field will vie to make the cut with only those within eight shots of fifth place qualifying for the final round. Ireland’s hopefuls currently find themselves six shots off a share of 4th with four players tied at minus-two. André Bossert soared to the top of the leaderboard after posting a five-under-par 66 on day two at Vale da Pinta to hold the halfway lead on five-under-par. 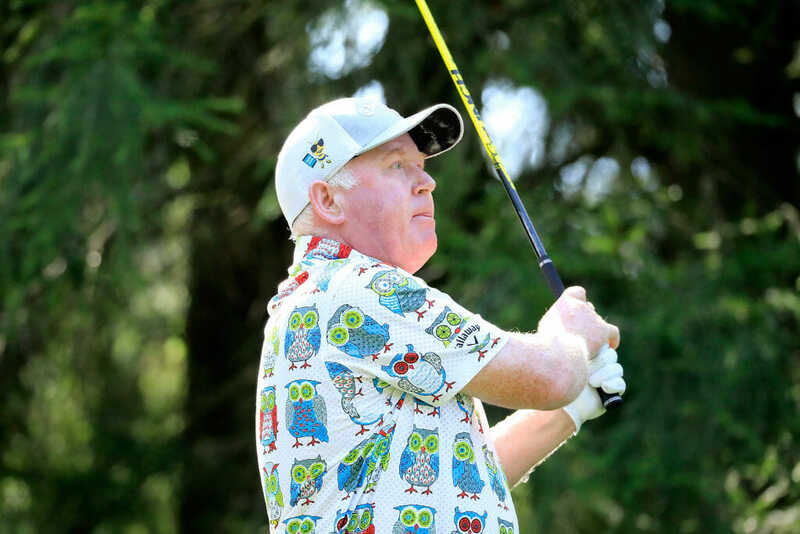 The 55-year-old navigated his way round without recording a blemish on his scorecard and will take a one-shot lead into Day Three, with Englishman Simon P Brown one shot behind on four-under-par. Welshman Sion E Bebb is a shot further back on three-under-par while David Morland IV, Dan Olsen, George Ryall and Peter T Wilson all share fourth place on two under.